Yesterday, we were feeling a little down when we had to deliver the decidedly un-dope news that 2 Dope Queens—along with Big Terrific—would have to cancel their upcoming Chicago shows, part of our 3rd Annual 26th Annual Comedy Festival next week. 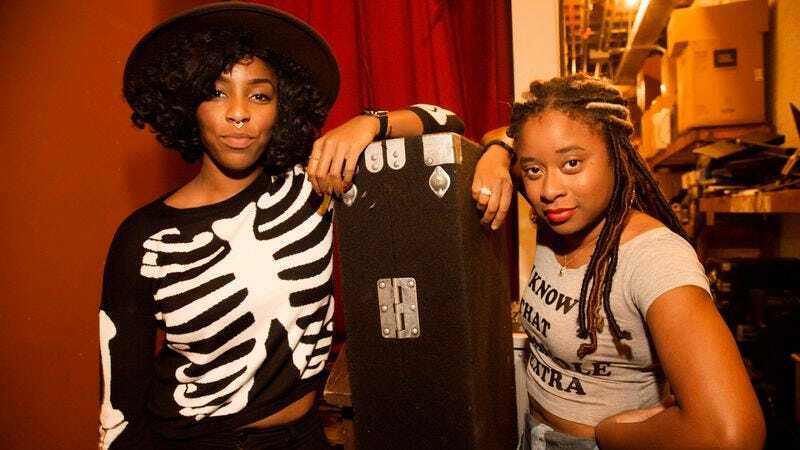 The good news is that all tickets for both of their sold-out sets will be fully refunded and, because they really are two of the dopest queens we know, Jessica Williams and Phoebe Robinson asked that we pass a special apology along to you. They even mention plans to come back to Chicago in the near future! First off, we love your beautiful faces and if we could get pregnant by each and every one of you, that would be wonderful. Is that too much? OK, you’re right. That is too much. Anyway, the point is we so appreciate you listening to us and all the support you’be given us. Unfortunately, we have to cancel the shows we’re doing on 6/3 due to some unforeseen circumstances. So you’re all being refunded for your purchases. I mean, that goes without saying but we just wanted to be clear that we weren’t taking your money and running to da strip “clurb.” Phoebe insisted on that spelling, so roll your eyes at her only. Lol. In closing, we’re super bummed, but we are totally planning on coming back to Chicago and doing some special shows just for you! So we can’t wait to see you soon, talk about hot dudes, and eat some deep dish pizza.